SDX will recognize the best in San Diego advertising, digital and graphic design at its gala 2017 ADDY Awards Show. 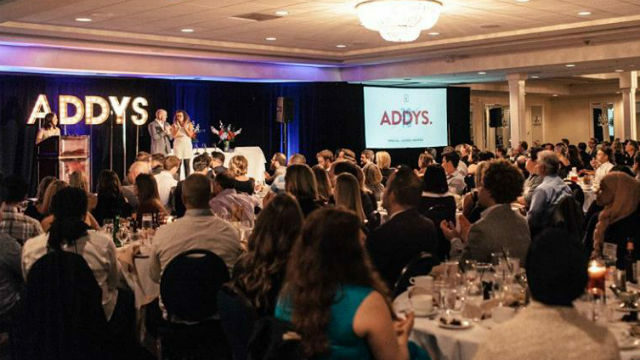 The ADDY awards will be presented March 3 in 41 categories, including sales and marketing, print advertising, out-of-home and ambient media, film, video and sound, elements of advertising, cross platform and online-interactive, as well as 11 student categories. The name of the award is an ADDY, the same name of the award presented on the national level. Gold, Silver and Bronze awards will be presented at the annual event. This year’s ADDYs competition drew 264 professional entries and 30 student entries, said Laurie Ganz, SDX associate executive director. This year’s judges were Bryan Cook, executive content producer and director of multimedia, Team One Advertising, Los Angeles; Courtney Smith Kramer, co-founder and executive creative director, Purematter, San Jose; Sean Stell, senior art director, MullenLowe, Los Angeles. Following the local awards program, SDX will pay entry fees for Gold winners competing at the district level, which comprises Southern California and Southern Nevada. Then, district winners can advance to the national American Advertising Awards, presented by the American Advertising Federation. The national ADDY awards program is known as the world’s largest and arguably the toughest advertising competition with more than 40,000 entries annually. The San Diego event starts at 5:30 p.m., Friday, March 3, at the Lafayette Hotel. The theme of this year’s awards is “Not Everyone is a Winner.” Tickets are priced at $120 for members, $150 for non-members and $100 for students. To RSVP, visit www.SanDiegoX.org. Founded in 1911, SDX is San Diego’s largest and oldest local networking and professional group for advertising and marketing executives with more than 150 companies representing about 425 members. SDX is sponsoring “How to Generate a Constant Flow of Leads with Video Marketing,” a presentation on using online video to accomplish business objectives. The event is scheduled from 4 p.m. to 5:30 p.m., Thursday, Feb. 23, at Incubate Ventures, 2251 Las Palmas in Carlsbad. Cost is free to SDX members and $40 per person for nonmembers. Topics will include implementing a scalable video marketing strategy that drives traffic, increases leads and generates new revenue. The speaker will be Owen Hemsath, video and YouTube consultant. The presentation is part of SDX’s ongoing “Inspire” seminar series. For more information, visit SDX at www.sandiegox.org. Wayne Guymon, who helped launch Fox Sports San Diego in 2012, has been promoted to vice president, general sales manager and national sales manager for Southern California’s three Fox Sports regional networks, including Fox Sports San Diego, Fox Sports West and Prime Ticket. 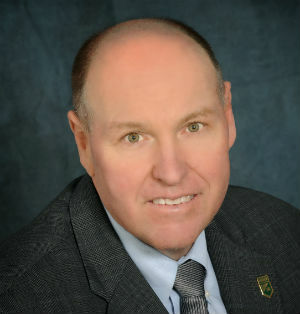 Guymon will report to Henry Ford, senior vice president and general manager of the three Fox Sports regional networks. 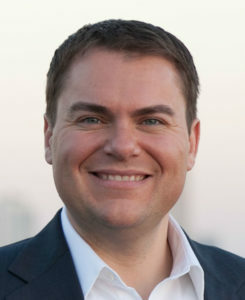 Prior to joining Fox Sports, Guymon spent nearly five years with the Oklahoma City Thunder where he served as the NBA’s team’s national sales director before leading their business development efforts. Prior to the Thunder, he worked for IMG as an associate general manager, San Diego State University as the assistant athletic director and Stanford University as a marketing coordinator. Carl DeMaio, KOGO News Radio 600-AM weekday afternoon radio talk show host, will moderate a panel discussion on firearms laws from noon to 4 p.m., Sunday, Feb. 26, at the Poway Center for the Performing Arts, 15498 Espola Road. The public is invited to attend and learn about recent laws regarding firearms, including pistols, rifles, shotguns and accessories such as concealed weapon permits, ammunition and ammunition magazines. The event, called the 2017 Regional Firearms Law Conference, is presented by the San Diego County Gun Owners, a political action committee promoting Second Amendment rights. Ticket price to attend is $20 per person. Tickets are available at www.sandiegocountygunowners.com. Speakers at the conference will include: Poway Mayor Steve Vaus; John Dillon, attorney with the firm of Gatzke Dillon and Balance; Jamie Franks, U.S. Navy veteran, Navy rescue swimmer, top competitive shooter and star of the History Channel’s hit television series “Top Shot;” John Phillips, owner of Poway Weapons & Gear; and, Michael Schwartz, executive director of the gun owners group.